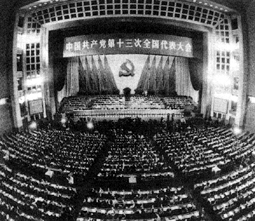 On October 25, 1980, Deng Xiaoping said that Mao Zedong's thought was the implementation and development of Marxism and Leninism and was the guiding principle of the Party. Difference arose among 4,000 CPC high officials on whether to include Mao Zedong Thought when they were discussing the draft "Resolution Regarding Certain Historical Problems of the Party since the Founding of PRC." 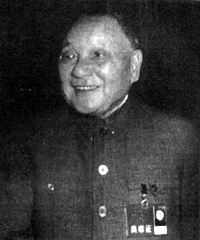 Deng emphasized that Mao Zedong's thought could not be omitted. It was not only a theoretical issue, but also a political issue at home and abroad. "The Party educated a whole generation with Mao Zedong Thought. With the guidance of Mao Zedong Thought, we won the revolutionary war and founded the People's Republic of China." "The cultural revolution is indeed a blunder. We should sturdily criticize the blunder made by Mao Zedong in his later years. But still we should stick to the truth. And we should not attribute all the mistakes to Mao Zedong's character. Mao Zedong is not an isolated person. He remains our Party leader until he passes away. We should not overwrite Mao Zedong's mistake. Humiliating Mao Zedong is humiliating our Party, our country. This is against the historical facts."